Thank you for visiting our homepage. With EDORA, you can be assured of the highest quality of an experienced and professional partner in all aspects of conveyor technology and conveyor systems. We assist our customers individually during the entire development phase. From the initial idea to the final custom -made installation. 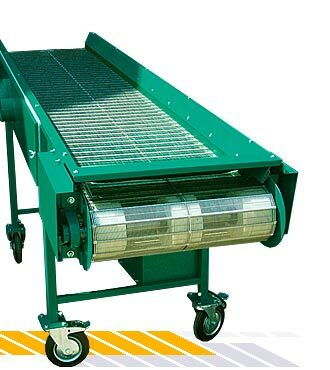 From the standard conveyor belt to complex, turnkey systems for agricultural fruit processing, bulk materials storage and loading, conveyor systems for the recycling industry and all areas in which conveyor technology is used. For sole proprietorship as well as for industries. We are your first point of contact when it comes to optimising existing systems. And even thereafter: For the entire operating life! Learn more about our products and contact us. We look forward to your call, because we can find the perfect and customised solution for your company also.